All those people who have been engaged would understand how stressing it could be to plan the wedding events. From finalizing the venue that would accommodate your plans and the guests to searching for the vendors whom you can trust and who would provide you the services within your budget - the list of what you need to organize a perfect wedding just goes on. Read ahead to find out what works best. Well, the best way to save yourself from all the anxiety and actually enjoy your courtship period and wedding is to hire a wedding planner. Now, many of you would think that why do you need a wedding planner as that would only add up to your expenses when you can plan the entire event yourself. However, you need to be very practical while visioning your wedding. The arrangements would require much more than just hiring the vendors for different services and that certainly requires more time and a professional person so that everything could be done perfectly and you are not left running around on the day of your wedding. 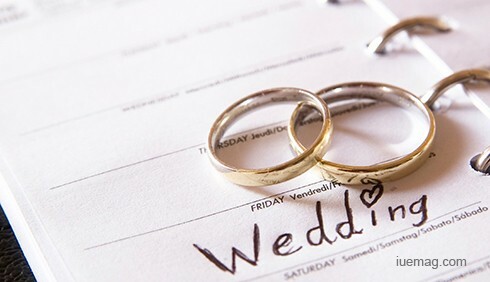 If you are still confused, let us give you just 3 benefits that you would get if you will just start planning early and hire a wedding planner for the same. Just imagine having to put in 7+ hours every day from the day of your engagement till your wedding in planning the events. Yes, that is the amount of time it takes you to get everything arranged till the final day. Planning in advance and getting a professional for that will save you the time to actually enjoy that period with your fiancé and family. Do you have any idea about the cost of every item that you will need to set up your wedding venue? We highly doubt that. In fact, you would have to find vendors and compare the prices prevailing in the market in order to get the best of prices. If you would just have more time in hand and a person by your side who is actually having good relationships with all the vendors, you would certain be able to get yourself good deals. Trust us when we say this but there is a higher possibility of something going wrong on the wedding day or you missing out something important to be arranged till the last moment. How will you ensure that everything is double checked and there is a person available on the day to handle everything around when you are on the center stage and your relatives are enjoying the event? Well, you would certainly appreciate having enough time at hand to make the arrangements properly and a person dedicatedly looking after everything at that point. It is never bad to begin early. In fact, as soon as you finalize the wedding day it is best to start interviewing the wedding planners so that you can get everything arranged within time. This would not make you feel relieved but also provide you with more (and sometimes, better) options to choose from. Any facts, figures or references stated here are made by the author & don't reflect the endorsement of iU at all times unless otherwise drafted by official staff at iU. This article was first published here on 17th September 2016. Priyansh Gupta is a contributing writer at Inspiration Unlimited eMagazine.